Having previously enjoyed David Lodge's novels and their wonderful humour, I am sorry to say I found this tedious and gave up. Do we really really want to know the detail of the life experiences that re-emerged in his fiction? It might get better later on, but he's lost me. 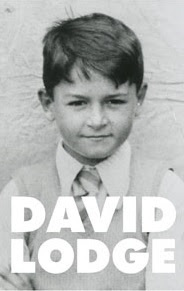 Postscript: In January 2018 I read a Guardian review of Lodge's second instalment of autobiography, which came to similar conclusions, such as that he does not discard detail best omitted, e.g. his childrens' 'A' Level results. It wondered where was the comic novelist?